Avenged Sevenfold have had to cancel their scheduled appearance at Festival D'Été de Québec due to health issues. The band was originally supposed to perform at the Bell Stage tomorrow night (July 14). 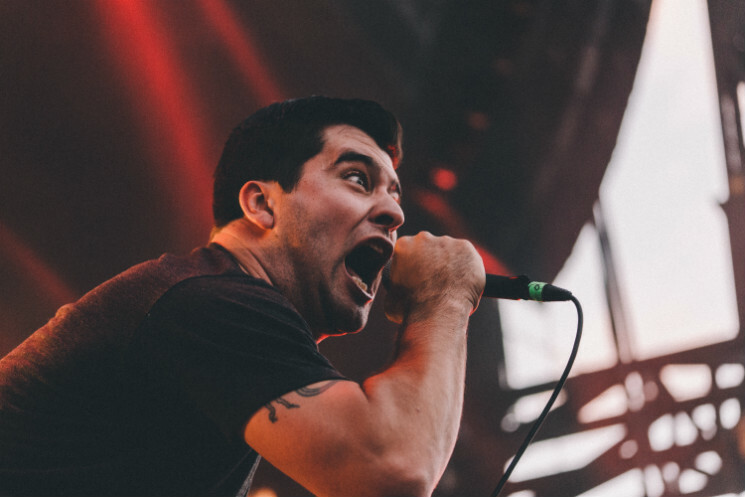 Luckily, for fans in need of a heavy headlining act, the fest has announced that Alexisonfire will step up to fill the slot. The band also took their French skills out for a spin, sharing the news with a "C'est genial." As of yet, they haven't banned Avenged Sevenfold shirts at the show. Alexisonfire will take the Bell Stage at 9:30 p.m. tomorrow evening. See full festival schedules and updates here.